hard, and competes regularly, logging around 5,000 track miles annually. 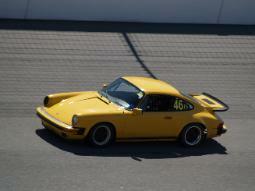 first Porsche to be a member of Dead Pets Racing. 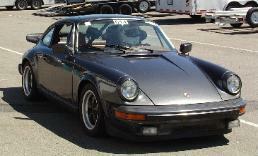 This 1979 911SC was one of the last of that model year (built June 1979). cambered front spindles, and several sets of Fuchs 8x15 and 7x15 wheels. cage), and a pair of Recaro racing shell seats. 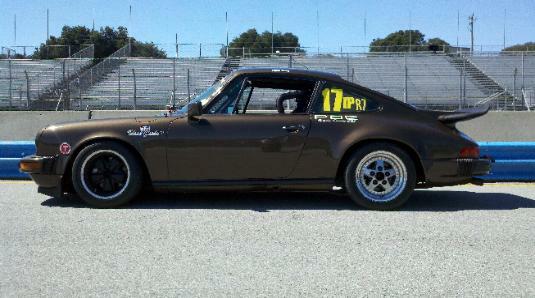 (Stock 911SC classes), Snickers had already set over a dozen records. 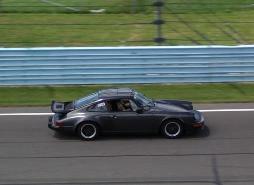 nearly 80 Porsches at a PCASDR Autocross. wins (including three overall Enduro wins). Class D in PCA Club Racing. finish had been well worn from many thousands of miles in racing traffic. fifteen-year-old course record by more than a second! 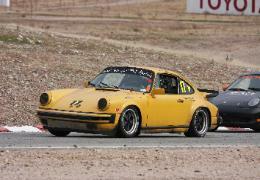 POC Cup Racing series (Class R7). number of race wins, track records, and several season championships!